Lenovo and Intel collaborated to release their first smartphone at CES 2012 which takes place in Las Vegas. 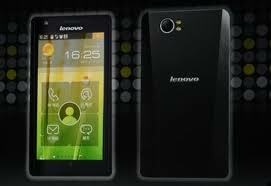 This smartphone is named Lenovo K800 processor with 1.6 GHz atom Medfield Intel's hyper threading technology supported. Sean Maloney, Intel in China as the Chairman stated that the Smartphone Lenovo K800 will go on sale in late May, although the launch may still be using a variant of Android OS 2.3 (Gingerbread) that is compatible with x86, not Android 4.0 Ice Cream Sandwich. Specifications of the K800 include 4.5-inch screen has 1280x720 pixel resolution and 8MP camera with ISO capabilities up to 3200. For connectivity, the Lenovo K800 is supported with Bluetooth, Wi-Fi, and network 4G Long Term Evolution (LTE). however, the Lenovo does not provide information about the price of K800. In the near future, Intel's Medfield will be used in the production smartphone Motorola and LG. This step is a proof of the seriousness of Intel rival ARM, Qualcomm and NVIDIA that has dominated the processor market for mobile devices.